I never met a stripe I didn’t like, but more often than not, they come in the navy + white variety. I don’t wear much navy, but I DO wear a lot of black. 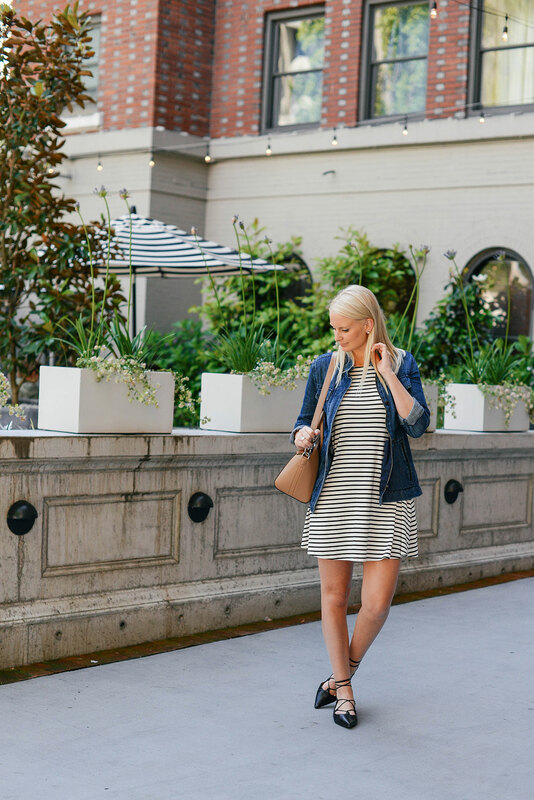 That’s why whenever I find a black + white stripe piece (like this under $40 dress, for example), I don’t hesitate. 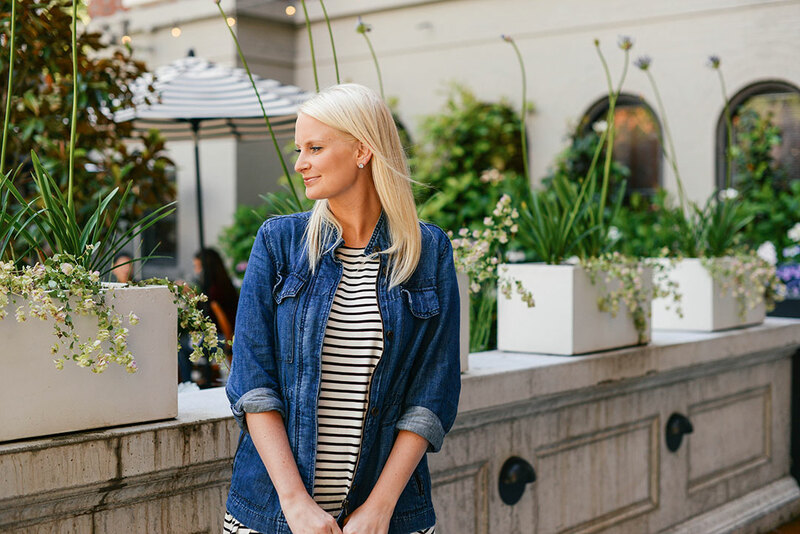 Just like my favorite Heidi Merrick tank, I wear simple striped pieces like this constantly! They are functional, comfortable and can be dressed up or down for nearly any occasion, making them the ideal items for travel! The tunic you saw in this Instagram just got marked down to $27!! It’s so useful and looks great with every pair of jeans in my closet. These linen pants just scream beach vacay, don’t you think? I’m a big fan of the knot-front tee and this one is incredibly soft. I also love this one-shoulder tee for a more elevated option. A comfy black maxi to wear on long flights. A few pairs of these capris to pack for beach runs. This black embroidered off-the-shoulder dress can be worn from day to night with just a change of accessories! A clean pair of white skinny jeans to pair with tunics, tanks and off-the-shoulder tops. Love this cute and casual look. What a great find! Obsessed! Happy Friday, lady! 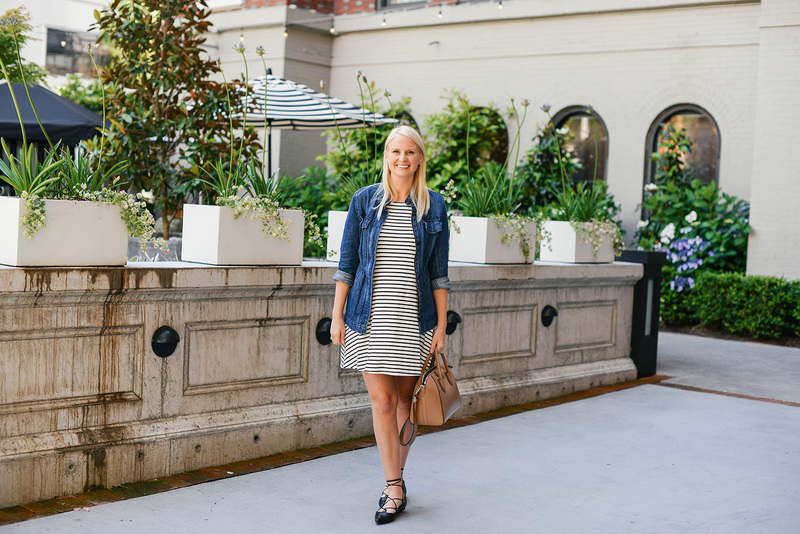 Can’t go wrong with a great black and white stripe dress! Love it with you denim field jacket! 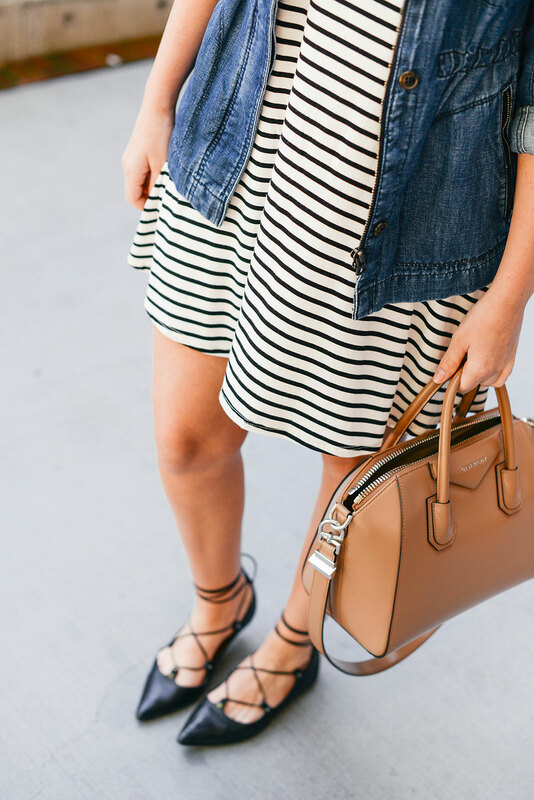 I’m obsessed with stripes and can never get enough in my wardrobe. This is another must have! Love the mix of relaxed vibes and chic accessories like the shoes <3 You look great!